Need a haircut, style, or close shave? We offer just the barber shop to visit. We are located inside Hair Essentials Salon Studios in Ann Arbor and can accommodate men, women, and children. Hair cuttery services should be tailored for the man. Some men want a closely cropped haircut while others want a bit more hair styling. At our barber shop inside Hair Essentials Salon Studios, we can give you the best haircuts in Ann Arbor and beyond. 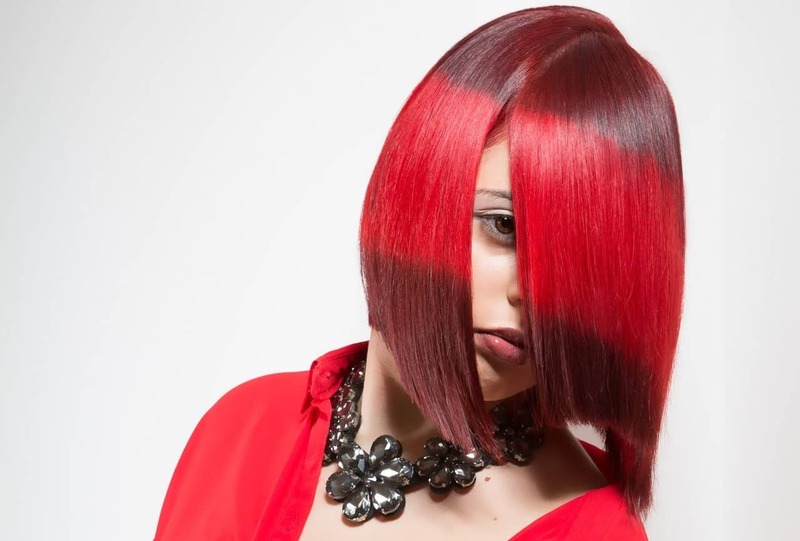 We only hire the most highly-trained and experienced hair styling technicians. That means that you can request any type of style you prefer, from short cuts to longer hair styling. When you leave, you’ll have more confidence and a strut to your step, because you just got the best haircut in Ann Arbor. We offer children haircuts for all kids ten years of age and younger. If you’re wondering if your child’s temper will permit a haircut, you can rest easy. Our child haircut specialists know how to work with kids. Some kids tolerate haircuts just fine and will sit still, even as the clippers start buzzing. Other kids get upset at the sight of the scissors and the sensation of the hair styling clippers. You can rest assured that we are experts at providing your child with the best haircut while tending to his or her every need and ensuring a memorable haircut experience. Our hair salon has everything you need to create the effect you want. Some women want the same style, and we can certainly accommodate you with any beauty salon hairstyle. Or, maybe you want a new look. We can provide you with a variety of popular hairstyles that are sure to boost your self-esteem while putting your unique self forward. Maybe you want to show a unique part of your personality or you want to match a particular outfit. We have hair colors to match any style and preference. Ask your beauty salon expert to have your hair colored and styled just the way you want. For longer length haircuts, such as those below the chin level, as well as bobs, we can give you just the look you expect. We will give you a full hair wash, cut, and then blow-dry your hair for a luxurious makeover. We can provide you with all types of shorter length cuts, such as those that are above the chin level, along with a hot lather and neck shave. We use shears, clippers, or we can just use shears. With your shorthair haircut, you’re the boss. We pride ourselves on creating a barber shop and beauty salon atmosphere that helps you relax as we cut or style your hair. We keep a clean and organized environment that is always inviting and we do our best to accommodate your haircut or beauty salon style of choice, helping you look and feel your very best. However, we are known for much more than our haircuts, shaves, and hairstyles. We also go out of our way to ensure that you always have a relaxing time as you sit in the chair for your cut, shave, or style. We can provide you with a variety of treatments, such as blowouts, color touchups, and hairstyles for special occasions like weddings, baby showers, birthday parties, and more. We can also add a hair wash to your haircut, provide you with a hot lather and close shave, and provide you with hair highlights. As your local premier barbershop, we would never dream of giving you a haircut that leaves you feeling frustrated at the end of the day. Instead, we take our time to understand your preferences so that we can provide you with the level of service you expect. When it comes to your haircut or beauty salon hairstyle, we will adhere to your style preferences so that you are more than pleased by the end of your appointment. Getting the best haircut and hairstyle shouldn’t have to break the bank. That’s why we provide competitive prices for all men’s, women’s, and children’s haircuts and styles, so you can look good without spending big. If you live in and around Ann Arbor, Michigan, and you want the best haircut or beauty salon hairstyle by expert barbers and hair stylists, visit Hair Essentials Salon Studios and we’ll give you a haircut to remember. We are an upscale beauty salon plaza that offers independent beauty professionals with the opportunity to maximize their career potential while building their clientele and profits. The salon and barbershop owners we work with put an emphasis into providing the very best salon services and take pride in providing clients and customers with the ultimate customer service. The Hair Essential Salon Studio brand exists to support the beauty service industry. With a variety of private, luxurious suites, this is where you’ll find our barbershop. Stop in today and ask about your preferred haircut, hairstyle, or specialty service in Ann Arbor and Ypsilanti Michigan. Some of our other services include eyelash extensions, facials, hair extensions, hair loss services, hair braiding, natural hair services, sew-ins and hair weaves, and many more. We also have full-body waxing, massage, henna, eyebrow threading, and professional style makeup. Visit our location in Ann Arbor today and get a haircut, hairstyle, or other services by experienced technicians who offer the most unmatched service in town. What Sets Our Barbershop Apart? When you visit Hair Essentials Salon Studio and visit our barbershop, you will always be greeted by a barber or stylist who takes your customer service extremely seriously. We rely on customers like you having an excellent experience so that you’ll refer our barbershop to your family and friends. For that reason, you know that your haircut, shave, or salon hairstyle will always look and feel the way you want. Our goal is to help you relax while you’re in the barber’s chair. However, we know that you have other things planned. For that reason, we never want you to wait too long for a haircut. When you sit in our barber’s chair, you’ll get the fastest, most efficient service without sacrificing a bit of quality. We encourage you to tell your barber or hair stylist how you want your hair designed the moment you sit down. We do keep books here in the shop that will allow you to select from some of the most popular styles worn by men, women, and children today. We can match any style and shave to give you the look you want at a price you can afford. If you don’t see any men haircuts, women’s hairstyles, or children’s haircut options in any of our books, feel free to bring up a style on your smartphone. Or, do your best to explain the cut or style to your barber or stylist. Our hair style professionals are highly-trained and experienced and can accommodate you with most styles popular today with men, women, and children everywhere. We believe that getting an excellent haircut or beautiful hairstyle shouldn’t have to break the bank. When you want stylish hair and a comfortable barbershop experience at a price that fits within your budget, we invite you to schedule an appointment with our barbershop within Hair Essentials Salon and Studio. We invite you to schedule an appointment for individual men’s haircuts, a child’s haircut, or a woman’s haircut. However, if you have several haircuts to plan for, we offer a convenient location to get everyone’s hair styled under a single roof. For family haircuts that will save, you will enjoy your time in our barber’s chair. We can handle fast and efficient cuts for men, women, and children, so bring the whole family down and we can help everyone look as good as they should. We rely on our quality cuts being referred to your family, friends, co-workers, and acquaintances. The next time you need a haircut or hair style, we invite you to schedule an appointment as quickly as possible. You can guarantee that you’ll love your hair, find yourself relaxing in our barber’s chair, and you’ll feel great as you leave following your appointment. Let us be your local barbershop and hair salon. At Hair Essentials Salon and Studios, we’re focused on providing you with an excellent haircut or style at affordable prices, and with customer service that’s second to none. We have been providing quality haircuts and hair styles to individuals and families throughout Ann Arbor and Ypsilanti, Michigan, for years. Our barbers and salon professionals are highly-skilled and experienced with all types of popular haircuts, hair styles, and close shaves. You will love our comforting atmosphere, comfortable barbershop chairs, and professional services as you receive the best haircuts and styles in Ann Arbor, Ypsilanti and the surrounding areas. We are located at 4695 Washtenaw Avenue in Ann Arbor, Michigan. Our barbershop is located inside Hair Essentials Salon Studios. Simply visit or call and we can schedule an appointment that fits perfectly with your calendar. Our barbershop and hair salon have a single goal: to provide you with the ultimate convenience as we give you more confidence, a more handsome or beautiful appearance, and hair services that fit within your budget. Don’t delay if you want barbershop or hair salon services at affordable prices and in a convenient location in Ann Arbor, Michigan. 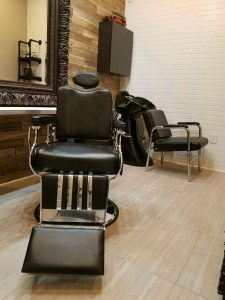 Whether you require men’s hair cut services, women’s hair salon services, and children’s haircut services, we have a spot in our chair just for you. Our barber shop can give you the men’s haircut, women’s beauty salon hairstyle, or children’s haircut you want. You can count on a relaxing and memorable experience as we provide you with exact hair services you prefer. If you live in and around Ann Arbor, we are located inside Hair Essentials Salon Services. Visit today and see why so many of our clients return over and again for their quality men’s, women’s, and kid’s haircuts. We’ll make sure that your hair is in the best of hands and that your comfort is the always top priority. When you want to love your hair, your first choice should always be Hair Essentials Salon and Studios. If you are still on the fence about scheduling your men’s, women’s, and children’s haircuts with Hair Essentials Salon and Studios, we encourage you to call to speak to one of our professional service representatives. When you’re here, you’re treated like family, and it’s the same way over the phone. We will answer your questions, alleviate any of your concerns, and help you feel comfortable as you go about choosing us for all your haircut and hair styling needs. Call to ask about our availability and to inquire about your favorite haircut or style and we’ll accommodate you. As your local Ann Arbor barbershop, we want to be your source for the best haircuts in the local area and beyond. Call today and schedule an appointment. You’ll be glad you did.